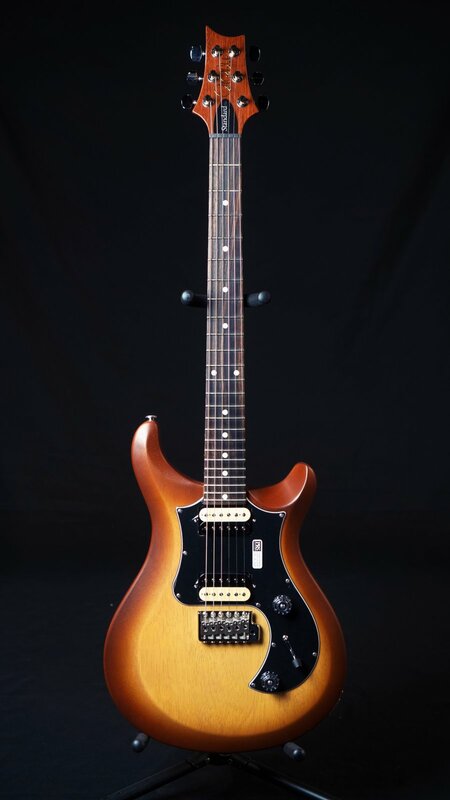 The PRS S2 Standard 22 Satin takes the traditional S2 Standard 22 platform and adds a stealthy finish. The thin, hard satin nitro finish gives this instrument a wonderful resonance and an open clarity that’s noticeable even when unplugged. The 85/15 "S" pickups are ready to befriend whatever genre you feel like playing at tonight’s gig: high gain punk and metal, to warm, bassy blues. The push/pull tone control allows for coil tapping and on-the-fly versatility. For players looking for a versatile workhorse with a distinguished look, the S2 Standard 22 Satin is a perfect choice. Includes gig bag.